My friend can attest (quite heartily in fact) that I am notoriously bad with directions. I have gotten lost in buildings, parking lots, and whilst driving. 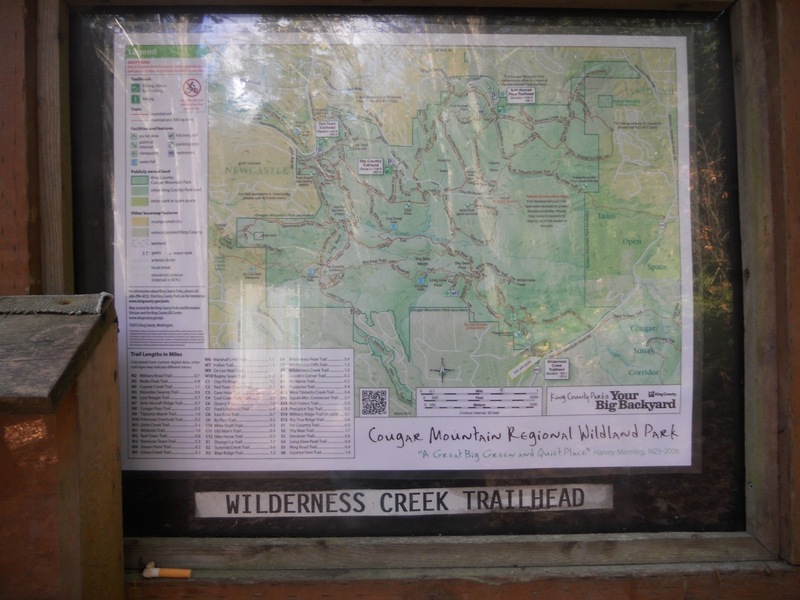 Finding the Wilderness Creek Trailhead was no different. The little parking lot was tucked away and not very visible to either side of the road. However, I was quite proud that I only passed the entrance once. 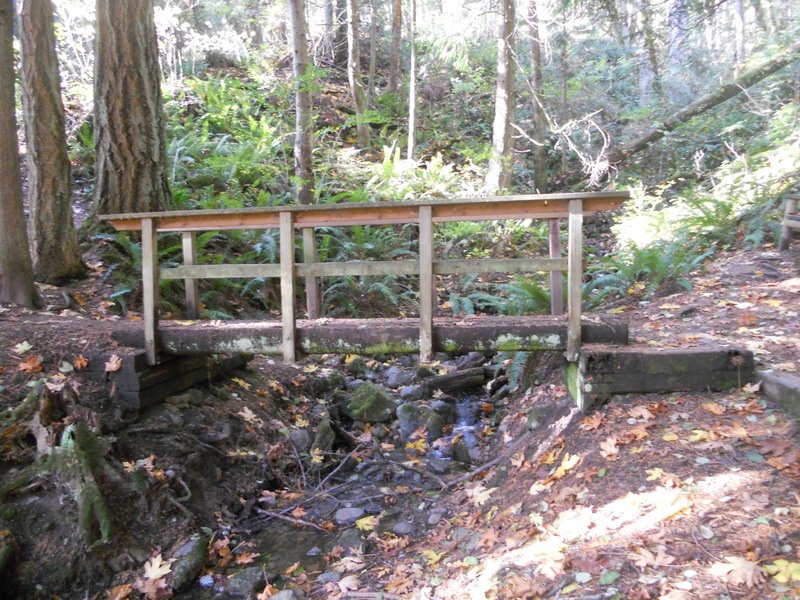 I quite liked how this trail was ripe with miniature bridges such as this winding one and the more standard one pictured below. There were also many choices for side trails. The only thing the trail lacked was a spectacular view from the top. There was an indicated “end” or top but the trees were too tall to see anything spectacular. There was, though, a geocache just waiting to be found at the two benches you can sit on while trying to peer between the massive branches of the trees. I love taking the kids on hikes, haven't tried anything up by Cougar Mountain yet. Is this a trail from there? Do you have an idea on how long the main trail is? Also, I was going to follow your blog, but either Blogger has done some changes or I'm blind, in either case I could use a little guidance. Thanks! Took me forever to figure out how to reply… Haha I'm still a bit new about the navigation for blogs. From what I do know is that if you go to your main blog page and then just type in the URL of the person you want to follow in the “add” space it should add the blog to your list. 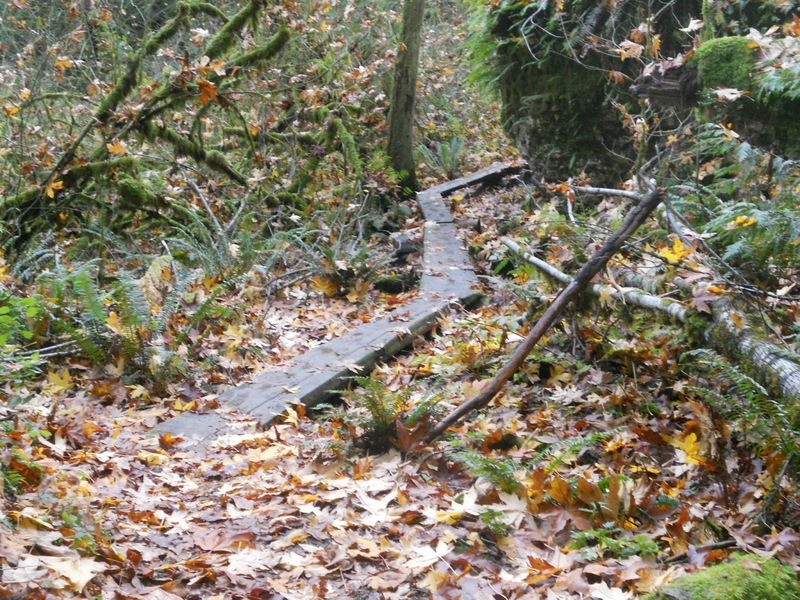 I'm not quite sure how long the trail is, though it is on Cougar Mountain, several miles with several steeper parts (I come from FL and was not used to hikes with hills involved so I got fairly winded). Do your kids geocache?